Do you have a question about starting your business? The following is a list of frequently asked questions and answers on how to start a small business in Mississauga, Ontario. Please contact the Mississauga Business Enterprise Centre (MBEC) if you require more information. Where can I find a good business idea? Many people think that all you need to start a business is one good idea. While that can sometimes be true, the best foundation for business success is to have several possibilities for creating profits. It is a worthwhile exercise to explore additional products, services, procedures and processes that may enhance your initial idea. The best and most successful businesses are often the ones that are unique or innovative. Will people be willing to pay for your products / services? Is your product / service able to compete in the marketplace? Do you have a product or idea that requires intellectual properties protection? Are you manufacturing your product or importing your product? What resources do you need to do your business? Is there a way to evaluate your idea? How can I learn about Mississauga population and demographics? Mississauga Data is our corporate open data website. Historical planning data including key statistics on Mississauga population, demographics, census, development, monitoring/activity, growth forecasts, housing employment, office, land use, vacant lands and the environment can also be found here. Is there a map showing places of interest in Mississauga? Mississauga’s Interactive Online Mapping Service allows you to: browse and explore the City’s mapping; overlay current and historical aerial photography; locate a street address or property; print maps to scale and more. Can I find a list of businesses in Mississauga? The Economic Development Office, in partnership with Planning & Building Department is proud to announce the new, free and interactive 2016 Mississauga business directory. The Mississauga Business Directory shows the geographic location of the businesses within Mississauga. It lists only the businesses that agreed to be included in the Business Directory. What are the best websites for market research information? Market research can help you develop a marketing plan and prepare your business to sell your product or service. Here are some helpful websites to visit when doing market research. Scott’s Business Directory – Covers organizations and key business contacts in Canadian manufacturing, industrial, business services, healthcare, government, and educational market sectors. Canadian Business Online – A directory to business and non-profit organizations in Canada, searchable by one or more criteria, for example by type of business, geographic area, and/or number of employees. What is Goods and Services Tax (GST) and Harmonized Sales Tax (HST)? Do I have to pay Employers Health Tax? What Corporate Tax numbers do I need? For those business registered as an incorporation in Ontario, the follow numbers are assigned. The Ontario Corporations Tax Number is assigned when a corporation has incorporated with the Ministry of Consumer and Business Services (MCBS). This number is required for filing your combined CT23 Corporations Tax and Annual Return. Once registered with MCBS you may obtain your Ontario Corporations Tax number generally 14 days after registration with MCBS by calling in Toront 416-920-9048 or 1-800-263-7965. The Federal Business Number (BN) is issued by the Canada Revenue Agency (CRA). This number is required for filing your federal tax return as well as your combined CT23 Corporations Tax and Annual Return. How do you report income tax for sole proprietorship or partnership? For further information it is recommend that clients read the CRA publication “Business and Professional Income” or contact the Business Window of CRA for further information. How do I register for an HST number? You can register for a business number (BN) by using Form RC1, Request for a Business Number, and mailing or faxing it to your local tax centre. If you already have a BN, to register for the GST/HST, use Form RC1A, Business Number – GST/HST Account Information. Although business insurance is not mandatory, it is highly recommended that you consider business insurance. The types of insurance available include liability, building, contents, business interruption, marine cargo, employee injuries, miscellaneous coverage, automobile insurance, and home-based business insurance. If you operate a home-based business, it is recommended that you review your home insurance policy for the home-base business clause. To obtain insurance, please contact your local insurance agent. If you sell goods and services in Ontario, you may need a Business Number to charge and remit the Harmonized Sales Tax (HST). You provide taxable supplies in Canada (unless your only supplies are of real property sold other than in the course of a business) and have annual taxable revenue of $30,000 or more. Firms with less than $30,000 annual revenue may opt to not collect the GST/HST but should contact the Canada Revenue Agency for details. You are not a small supplier. You cannot register for a GST/HST account if you provide only exempt goods and services. What is WSIB? And Do I need it? If you employ workers on a full-time, part-time or temporary basis in an industry or business covered under the Worker’s Compensation Act, you must register with the Workplace Safety and Insurance Board (WSIB) within ten (10) days of employing your first worker. It is voluntary for self-employed persons to contribute to the WSIB. Contact the nearest WSIB office to obtain a registration kit, which includes information on assessments, coverage, accident reporting requirements and appeals procedures. Call the WSIB at: (416) 344-1013 or www.wsib.on.ca. The Business Licensing Section issues operating licences for various types of businesses in the City of Mississauga. A business licence application is required for each new business starting up, or for existing businesses that have had a change of name, owner, location or type of business category. For more information visit http://www.mississauga.ca/portal/business/businesslicensing or call 311. Visit, e-mail or call the Mississauga Business Enterprise Centre (MBEC) office. Our staff can provide guidance on what licences and/or permits your business may require. The Business Licensing Section issues operating licences for various types of businesses in the City of Mississauga. A business licence application is required for each new business starting up, or for existing businesses that have had a change of name, owner, location or type of business category. For more information visit http://www.mississauga.ca/portal/business/businesslicensing or call 311. What Payroll deductions am I required to pay? If you are you a trustee, an employer, or a payer of other amounts related to employment, you have to register for a payroll account. A payroll program account is required to identify your business or organization when you remit payroll deductions. After you have determined that you are an employer, a trustee or a payer and have opened a payroll program account, you have to calculate the CPP contributions, EI premiums, and income tax deductions based on the amounts you pay your employees. You also have to calculate your share. You should hold these amounts in trust for the Receiver General in a separate account from your operating business account. Am I able to operate my business from home? The following Home Occupations are permitted to operate from a Detached Dwelling: tutoring, music instructions, artist or artisan and a general office use, provided the Home Occupation complies with all the restrictions indicated in Subsection 4.1.16 of the Zoning Bylaw. A physician, dentist, drugless practitioner or health professional may also establish a business from their home provided the use complies with all the applicable Zoning By-law restrictions. Please contact the Zoning Section for further information by calling 3-1-1, or if calling from outside of Mississauga, dial 905 615-4311. If your Mississauga business location requires renovations or new construction, please contact the City of Mississauga Planning and Building. You will find a great combination of information and services to help you through the development process. This portion of our eCity portal is designed to serve both the resident and builder/developer alike. Downtown Mississauga is a dynamic, urban neighbourhood that attracts creative and talented people to live, work and play. It is a place where you can share and embrace new ideas, cultures and experiences. Downtown Mississauga is located in the heart of the city with easy connections to the rest of the city, the GTA (Greater Toronto Area) and beyond. In downtown Mississauga, we are open to new opportunities and ready to welcome the world. Access to and from the economic hotbed is as barrier-free as it gets anywhere on the planet. A business plan is a valuable tool for every business owner, whether you are starting up, have been in business for years, or are ready to grow. Your business plan is essential if you are seeking funding, to rent or lease a location and by many suppliers and potential customers. It will also help you identify goals, needed resources and employees as you grow your business. Helps to identify your customers, your market, your pricing strategies and the competitive conditions under which you must operate to succeed. Identifies the amount and type of financing or outside investment required. Makes it easier for a lender or investor to assess you and your proposal. Improves your ability to manage your business. FAQ – What is a Business Plan? A business plan is a written document which describes who you are, what you plan to achieve, where your business will be located, when you expect to get under way, and how you will overcome the risks involved and provide the returns anticipated. Business plans are a recognized management tool used by successful and/or prospective businesses of all sizes to document business objectives and to propose how these objectives will be attained within a specific period of time. Mississauga Library E-Resources | Gale Virtual Virtual Reference Library – A collection of encyclopedias and specialized reference sources for research on a variety of topics. Limited funding is available for starting a small business. When funding is available, it is usually directed at key employment sectors or for businesses that are considered as innovative or high-tech. The success of your business depends on having enough money to purchase the equipment, buying inventory, pay overhead costs such as rents and salaries, and have a large enough amount set aside for additional ongoing expenses. It is essential to assess the costs of start-up and doing business, and determine the money required before you begin. This is an important part of the initial business planning process. Due to the diversity and size of the local business economy, neither the federal or provincial levels of government provide extensive financial support for start-up businesses. Are there any government grants to help me start my business? Government loans, grants, subsidies and other forms of financial assistance are available to small and medium-sized businesses in Ontario. Your business type, industry, location and activities will all determine which programs will apply to you. The amount of money that you can invest in the business could also determine your eligibility for government financing. What is the difference between a sole proprietorship, partnership and incorporation? A sole proprietorship is an unincorporated business that is owned by one person. The owner of a sole proprietorship has sole responsibility for making decisions, receives all of the profits, claims all losses, and does not have separate legal status from the business. A partnership is an association between two or more people who join together to carry on a trade or business. Each partner contributes money, labour, property, or skills to the partnership. A Corporation is an incorporated entity with its own rights and responsibilities as a distinct person under the law. A corporation is owned by the shareholders and managed by directors chosen by the shareholders. The owners of a corporation are not personally responsible for the debts of the corporation. The corporation is responsible for its debts. Fees for Federal Incorporations (Canada wide) are $200 for online filing or $250 for using the printed forms. Federal Incorporations forms are available from the Mississauga Business Enterprise Centre (MBEC). Internet filing is available at: www.ic.gc.ca/corporations. Fees for Provincial Incorporations (Ontario wide) are $300 for online filling or $360 for using the printed forms. Provincial Incorporations forms are available for a fee from Staples or Grand & Toy. If you incorporate electronically you must use the services of either online primary service provider: OnCorp at www.oncorp.com or ESC Corporate Services www.eservicecorp.ca (primary service providers are under contract with the Ontario Ministry of Government Services ) to complete the online Articles of Incorporation. The primary service providers may charge their own service fee. PROFESSIONAL ASSISTANCE FROM AN ACCOUNTANT AND LAWYER IS RECOMMENDED IF YOU DECIDE TO INCORPORATE. 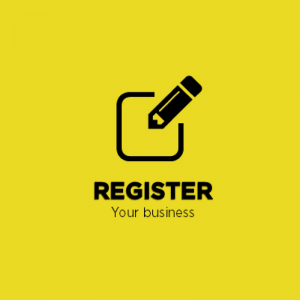 What is a Business Registration? A business name registration refers to a registration under the Business Names Act. It expires after 5 years and must be renewed. The Companies and Personal Property Security Branch, Ontario Ministry of Consumer and Business Services (MCBS) does not send reminder notices. There are two types of business name registration in Ontario. How to register a sole proprietorship or partnership? The cost to register a sole proprietorship or partnership is $60 plus $8 per name search if completed at a Service Ontario location or via the Internet. The cost to register a sole proprietorship or a partnership in person at the Companies Branch or by mail is $80 plus $12 per name search. What is the purpose of a Business Number? Your Business Number is your single account number for dealing with the federal government regarding taxes, payroll, import/export and other activities. If you plan to hire employees, or if you will be importing and/or exporting products or services, you will need to get a business number. If you sell goods and services in Ontario, you may need a business number to charge and remit the Harmonized Sales Tax (HST). Can I change or update my Business Activity or Business Address after Registering my Business? Changes/updates to Business Activity and/or Business address through using the Change of Business Information (COBI) tool online. Access Change of Business Information (COBI) online tool at ontario.ca/business-name-registration and select 8. You can also change other business information online.